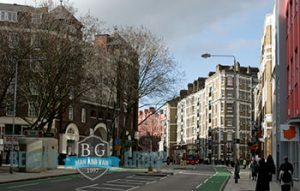 Welcome to Beuser Group – the leading man and van company in Central London. If you have any doubts about the successful outcome of your moving job, we are here to disperse them. 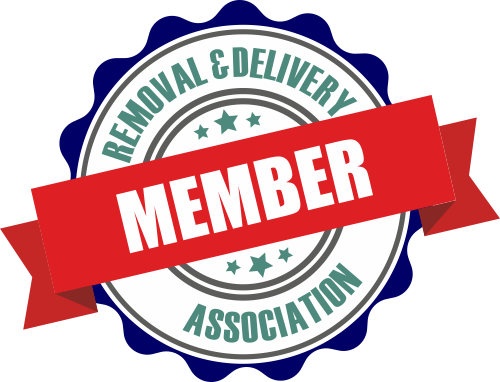 Our team of well-adjusted, veteran movers, packers and drivers are ready to deliver a Central London man and van service of an outstanding quality and at a reasonable price for that matter. We do not overlook any part of the process. That is why packing is an important part of our man and van service in Central London. Our technicians use top durable materials and tested methods to guarantee the safety of your goods while on the road. If you want to handle the packing on your own, we can arrange for high quality supplies to be provided to you on a reduced price. We at Beuser Group offer comfort, safety and efficiency on all stages of the relocation jobs we are assigned to. Our excellent man and van solutions were voted among the best in Central London by our clients and come highly recommended. If you have any questions, want to request a free quote or make a reservation, please do not hesitate to contact us right away via phone or email. 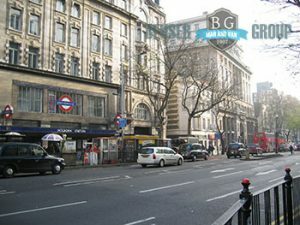 A man and van in Central London, when coming from Beuser Group is the perfect solution to a rather broad range of relocation and delivery projects. Student removals is one of the things that we excel at. Our movers will help you organise and carry out your relocation in a swift and stress-free manner, leaving you enough time and energy to actually focus on the transition in life you have actually made. Additionally, our man and van in Central London experts are available for high-value item moving. When loaded and secured on one of our state of the art vans, your art, antiques or office equipment will be guaranteed to reach the assigned destination on time, without a single scratch. In order to further guarantee the safety of your goods, we will pay extra care to their packing and loading. We want you to have peace of mind when having us work by your side. Central London is the historic, cultural and financial heart of the English capital. It is where the City of London and Westminster are to be found. Those are the oldest parts of the metropolis, being founded nearly two thousand years ago. Located here are some of the most prominent tourist attractions in London, which attract millions of visitors every year – Westminster Abbey, Buckingham Palace, The Eye etc. Feel free to contact Beuser Group for more attractive services and out special deals. A man and van in Central London should not cost an arm a leg, or at least that is what we believe. That’s why we have taken the time to tailor our services accordingly and make sure that the prices we say to you are final and suitable for your moving budget. The City itself is not a residential area. There are just a few thousand people who live here. It importance stems from the fact that it is a centre of strenuous and pretty busy commercial activities, the annual turnover of which is greater than any other place in the world. Central London contains a number of pretty notable residential areas too. They are located both to the North and to the South of the River Thames. Lambeth for example is connected directly to the City via several bridges. Islington to the north on the other hand is both known as being home to the Arsenal F.C. and containing some of the oldest, finest suburban areas in London, such as Holloway, Nag’s Head, Tufnell Park and many others. It is worth noting that Central London is a pretty expensive place to live in – both property prices and rent rates here are significantly higher than those in Greater London. When one counts the benefits however, it is all well worth it. From Central London one has access to all major and minor areas throughout the metropolis. All the busiest hubs are here. King’s Cross railway station is one of the biggest and best known among those. It gained world fame through the Harry Potter series of books and films and is a popular tourist attraction because of it. If you are interested in shopping in Central London, Oxford Street, Regent Street, Piccadilly and Bond Street are the places for you. We have a team of professional and experienced man with van experts in Central London who are committed to providing nothing but excellence to our customers. From planning and organising to packing and transporting your valuable possessions, they will demonstrate an enviable level of professionalism, knowledge and experience. Our movers are trained to provide our clients with a smooth moving experience and meet all of their requirements. If you rely on our motivated staff, rest assured that you will receive a secure and all-around man and van service in Central London. Booking any of our specialised man with van services in Central London is simple and quick. We offer instant online booking. All you need to do is provide us with a few details and let us take it from there. You can book your move over the phone. Our polite customer support team will be happy to answer any questions you might have. Our job is to make an entire moving process smooth for you and we are very good at what we do. Beuser Group prides itself on providing a safe, effective and hassle-free moving experience to each of its clients. Our customer service is second-to-none as we remain on the cutting edge of the latest developments in the moving industry. Referrals and repeat customers are the foundation of our success. Our A+ rating from the Better Business Bureau is what stimulates us and makes us work harder to improve our flexible man and vas services in Central London and give our clients the unmatched quality and unbeatable price they deserve. If you’re planning to move to Central London with the help of our experienced movers, there are a few areas you might want to consider. Marylebone is one of them. This diverse place is popular for its peaceful Regent’s Park, as well as busy Oxford Street. If you head northwest of Regent’s Park, you’ll come across a wealthy and highly desirable residential district – St John’s Wood. You can also consider Central London’s Soho, Primrose Hill or Camden.